Residents bring their recycling to the Rockingham/Westminster Recycling Center and Drop-off Facility at 7446 Route 5 in Westminster. Click here for information. Although Grafton does not have an open burning ordinance, the State does and the District encourages residents not to use burn barrels to get rid of garbage. Decades ago, most trash consisted of only paper, cardboard, and glass. Today, however, manufacturers use a host of synthetics in packaging, most of which release carcinogenic toxins into the air and soil when burned. Please do your part to protect Vermont's public and environmental health from toxics; talk to your neighbors about the dangers associated with burning trash. 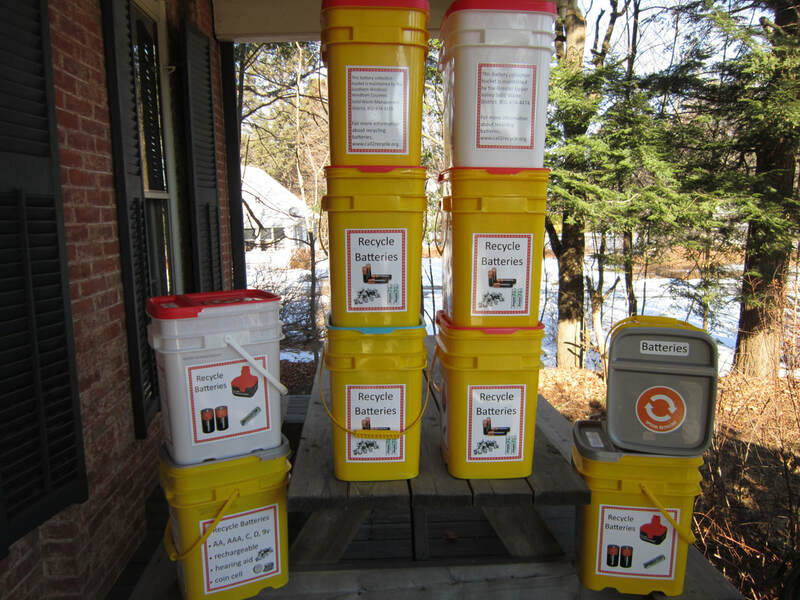 now that the Town Office has volunteered to host a battery collection bucket. The upcycled kitty litter pail is outside the building so that it is available 24/7. Bring in your AA, AAA, C, D, hearing aid, coin cell, tool, and rechargeable household batteries.